Taking place in Raffles Hotel Singapore on 10 September, this WealthMatters event will bring together luminaries from across the industry. Together with your senior wealth management peers, discussions will focus around business-critical developments and share invaluable case studies and best-practice insights. First Panel session: Will equities be the most important asset class in 2014? Mark McFarland,Global Chief Economist, CouttsWith the global economic gloom lifting, investors are now flocking back to equities amid a number of supportive factors globally. But investors also face a “new normal” with inflationary fears looming, and a fully “risk-on” scenario is still some way off. Our panel of industry experts will address the role that equities can play in the hunt for superior returns in 2014, and assess both the opportunities and risks that savvy advisors should be making their clients aware of. Third Panel session: How will regulatory pressures affect wealth management models in Asia? Asia, like so many of the world’s wealth management markets, is facing ever-increasing regulatory scrutiny and has myriad new rules to contend with. These changes will affect every element of wealth management model in Asia, but while this clearly represents a significant challenge for the region’s institutions it is also a massive opportunity for those firms able to satisfy regulators while also exceeding the expectations of this dynamic client base. Our panel of industry experts will offer a multi-faceted view of the latest developments and invaluable insights on what it will take for organisations to succeed going forward. Michael Blake was appointed chief executive officer of Coutts & Co effective from May 2015. Prior to this he served as general manager Asia for Coutts. Michael brings to the role a track record of leading cross-cultural teams during periods of growth and transformational change. He has lived and worked in Asia, Switzerland and London over the past decade and is active in various international affairs forums. Mr Ganshof is Head of Wealth Management at EuroFin Asia Group. For over 20 years he has advised and managed the assets of ultra high net-worth individuals with a value investment approach. Mr Ganshof has held various executive positions in the wealth management industry and was a committee member of the Swiss Association of Independent Financial Advisors for over five years. Andrew joined M&G in 2011 as managing director of Asia and is based in its Singapore office. Prior to joining M&G, Andrew advised asset managers, private banks and hedge funds on pan-regional expansion and asset gathering. Before this he worked for 10 years at The Capital Group Companies, during which time he worked in various groups, including private equity, institutional client relations and global distribution relationships. During his career he has worked in Los Angeles, London, Geneva and Singapore. He has 15 years of experience in the investment management industry. Andrew is a CFA charterholder and has an MBA from INSEAD and an MA in Economics and French from the University of St. Andrews. Richard Jerram is chief economist for Bank of Singapore where he is responsible for analysing and forecasting global macro developments, as well as being a key member of the investment committee. He joined Bank of Singapore in June 2011. Richard has been working as an economist for over two decades, initially in Tokyo during the late 1980s bubble, followed by a period running Asia-Pacific forecasting for the Economist Intelligence Unit in London and then studying for a doctorate at the LSE. He returned to Japan with ING Securities in 1996, which was acquired by Macquarie Securities in 2004. In 2009, Richard was appointed Head of Asian Economics and was based in Singapore. 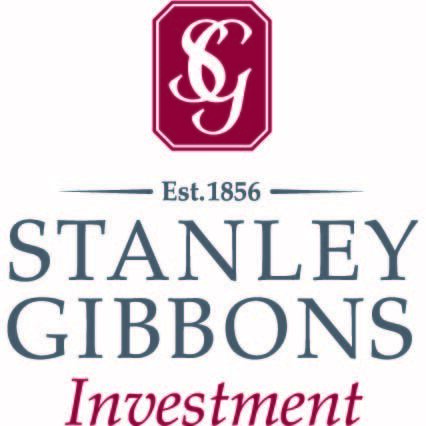 Marco joined Stanley Gibbons in Hong Kong as investment director in October 2012. His main responsibilities are overseeing Stanley Gibbons' Asian offices in Hong Kong and Singapore, the development of new business in Hong Kong, Singapore and the broader Asia-Pacific region, building relationships with private banks, IFAs, wealth managers and other intermediaries, presenting Stanley Gibbons' investment services at events and other networking opportunities and maintaining relationships with existing and potential new investors. Prior to joining Stanley Gibbons (Asia) Limited, Marco spent almost 20 years with KPMG and just under two years with a smaller global consulting firm, primarily in merger and acquisition related advisory roles. Marc McCollum is a managing director in Accenture's Financial Services Strategy and Transformation practice. He has responsibility for leading Accenture's offerings around distribution and marketing within the Wealth and Asset Management industry. 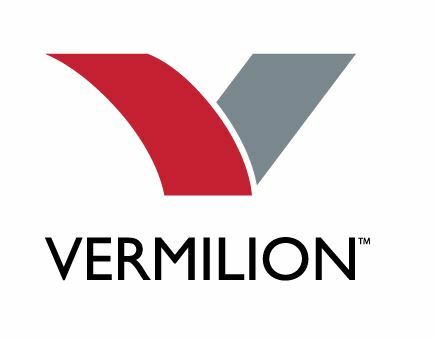 In this role, Marc works with top banks and asset managers globally to architect and innovate solutions around client centricity, sales force effectiveness and channel optimization – ultimately leading large programs from planning through execution. Marc recently relocated to Jakarta to lead Accenture's Financial Services management consulting practice Indonesia and support the ASEAN region. Based in Hong Kong, Mark is global chief economist for Coutts. In this role, he is responsible for the global leadership of Coutts’ economic views. Prior to joining Coutts, Mark was chief investment strategist for the wealth management strategy unit at Emirates NBD in the UAE. He was responsible for steering the bank’s discretionary strategy and for bringing investment ideas to a wide variety of advisory clients. Mark has almost 20 years of experience in global and emerging markets research. He spent the first 10 years of his career in Hong Kong, leading all-Asian economics research at Peregrine Investment Holdings and Swiss Re. He has also worked in London at UBS where he was G10 strategist in the FX team. Ryan is a partner in Taylor Wessing's International Private Client team. Currently based in Singapore he is playing a leading role in the development of the firm's international private client business in Singapore and South East Asia. Ryan specialises in offshore and international tax planning, including wealth structuring using trusts, family limited partnerships and other structures. He advises high net worth individuals and families on critical issues including governance, succession, and family constitutions and charters, asset protection, philanthropy and charity issues, as well as many of the issues that impact private individuals and families arising out of corporate and commercial transactions. Michael is an international tax partner in the Singapore office. He focuses on M&A, cross-border tax planning, permanent establishment taxation and private wealth structures. Michael leads the tax part of the Private Company Services for Southeast Asia, which includes private wealth management. Michael has more than 19 years of international tax experience. Before joining Deloitte in 2011, he had been a partner with another Big Four firm since 2002 and a partner with an international law firm before that. More than half of his professional career has been spent in Asia. Michael is a German tax advisor, studied at the University of Bamberg and the Complutense in Madrid and holds a Ph.D. in Economics (doctoral thesis on Spanish capital market law). He chairs the Regional Finance and Tax committee of the European Chamber of Commerce in Singapore. Michael has published around 50 books and articles on international tax topics and frequently speaks at conferences. Michael is fluent in German, English, French, Spanish and Mandarin. Kimmis Pun has three decades of management experience in corporate finance, syndication, global investment and advisory fund management. Equipped with professional investment and financial planning qualifications from the UK, US and Singapore, she is the managing director of BNP Paribas looking after the China market. With a passion to contribute and share, she frequently speaks at seminars, gives lectures at universities and academies as well as being featured in financial magazines and newspapers. Besides her business acumen and self-initiatives in her career advancement, she has made significant contributions to society through charitable movements.